The AMD Raven Ridge desktop APUs having just launched, marking the start of another super busy year for team red. These are the first chips in the Ryzen 2000-series lineup which will also bring us the AMD Ryzen 2 CPUs in April. You’re going to need a good board for your Raven Ridge APU, so check out our pick of the best AMD gaming motherboards around today. The Raven Ridge APUs mix the processing might of AMD’s Zen processor architecture with the graphical grunt of theirAMD Vega GPU silicon. That gives them a massive gaming performance lead over the existing integrated graphics used in Intel’s Coffee Lake CPUs. The new Zen-based desktop APUs launched on February 12, 2018. The Ryzen 5 2400G is on sale for $169(£150), while the Ryzen 3 2200G is retailing for $99(£90). 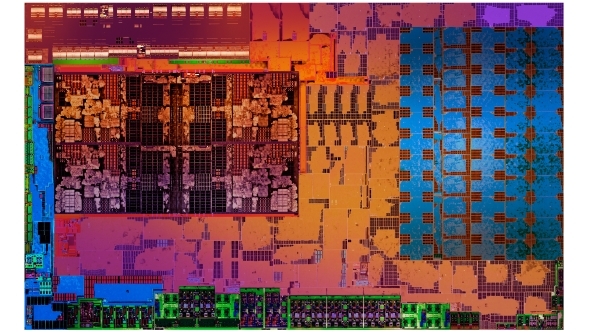 The first two Ryzen 5 and Ryzen 3 APUs sport quad-core CPUs, but the Ryzen 5 has eight threads. It also has three more Vega CUs too. The Raven Ridge APUs drop directly into the existing AM4 socket. That said, you will need to make sure the motherboard has an updated BIOS ready for the Ryzen 2000-series. AMD are targeting decent 1080p gaming performance from their standalone Ryzen 5 APU, with the Ryzen 3 chip having sufficient grunt to cope with lower-level, esports performance. The new Raven Ridge APUs are a simple drop-in upgrade for the AM4 platform and could potentially deliver basic PCs, without dedicated, expensive graphics cards, but with the capability to deliver unprecedented levels of gaming performance. These are the most powerful APUs AMD have ever created, offering more on both the processor and graphics sides of the equation. They could potentially offer a salve to the pain of cryptocurrency graphics card price inflation too. So just how good is the new Ryzen/Vega combo? 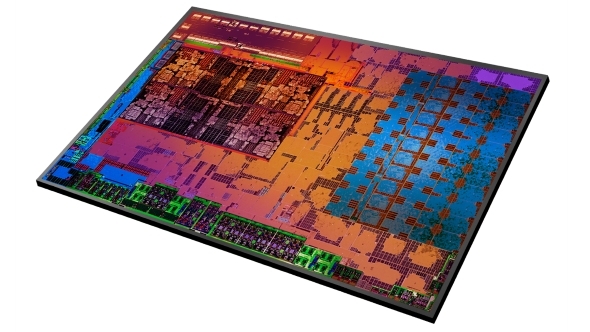 AMD scheduled the first two Raven Ridge desktop APUs to launch on February 12 this year. The first Raven Ridge-powered processors, the Ryzen Mobile APUs, launched in a handful of laptops towards the tail-end of 2017, but both the mobile and desktop iterations will see a broader roll-out through the start of 2018. There could well be some new 300-series motherboards arriving that will take advantage of the new APU technology, but they won’t be limited to the new chips. Form factor is likely to be a big thing for the desktop Raven Ridge chips, so it’s possible there might be some new mini-ITX AM4 boards hitting the shelves. But as they will use the same AM4 chipset as the Ryzen CPUs these boards will be cross-compatible across the whole AMD AM4 ecosystem. We will then have some newer 400-series AM4 motherboards released in April to coincide with the launch of the refreshed Ryzen 2 range. The two new Raven Ridge APUs are in stock across the board at the moment with the top-end Ryzen 5 2400G selling for$169(£150), while the lower-specRyzen 3 2200G is retailing for just$99(£90). That puts the top chip at the same price as the outgoing Ryzen 5 1400 and the Ryzen 3 APU hitting the market for less than the price of the Ryzen 3 1200 CPU it’s replacing. 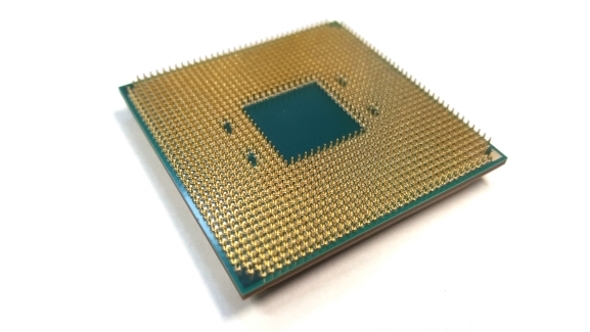 We’re now pretty confident there are going to be more Raven Ridge desktop APUs being launched this year, with recent BIOS updates hinting at low power variants of the new chips. The GE-series of chips will start with the Ryzen 5 2400GE and Ryzen 3 2200GE parts. There are also leaked benchmarks appearing in the classic SiSoft Sandra database showing Raven Ridge APUs with the Athlon brand. The Athlon 200GE is reportedly a dual-core, quad-thread chip with the Radeon Vega GPU sitting alongside it on-die. We’re guessing that it will follow suit with the lower-spec Ryzen Mobile APUs and offer Vega 3 graphics. 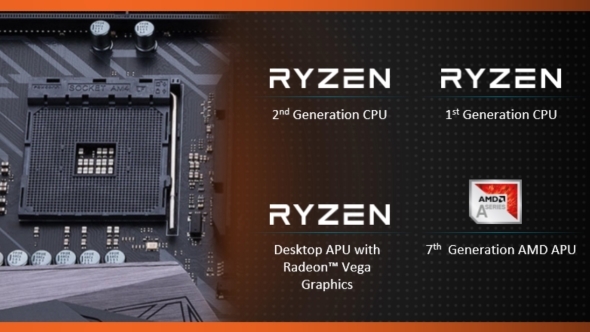 Looks like there’s going to be a relatively broad stack of Ryzen 2000-series APUs dropping this year. 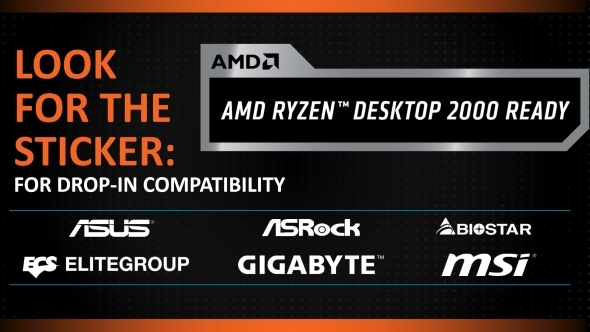 What’s looking likely, however, is that the Raven Ridge chips will top out at the Ryzen 5 level. It doesn’t look like there are going to be APUs hitting the market with the same level of CPU power as the current Ryzen 7 lineup. It’s possible we’ll see a six-core Ryzen 5 Raven Ridge chip, but even then it might be a bit of a squeeze keeping CPU and GPU running below the 65W TDP. We might see a 95W APU in the future, knocking around the same $200 mark as the top Ryzen 5 CPUs, but that’s just speculation right now. The full specs for the first two AMD Raven Ridge desktop APUs have now been revealed. The most powerful of the two new chips is the Ryzen 5 2400G, with the Ryzen 3 2200G slotting into the Ryzen lineup beneath it. Despite the 2000-series nomenclature the new APUs are using the original Ryzen 1000-series production process, so they’re 14nm parts as opposed to the new Zen+ 12nm lithography. That’s not going to make an appearance until the Ryzen 2 parts start rolling into stores in April. The basic building block for the Raven Ridge APUs is formed of the union between the Zen processor cores, introduced with the Ryzen CPUs, and the Vega GPU architecture. These two vastly different lumps of silicon are connected via AMD’s advanced Infinity Fabric interconnect. 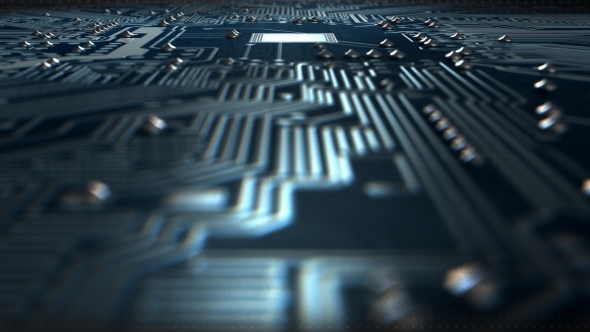 It’s this high-speed linkage that allows the two disparate technologies to communicate with each other and enables the sort of finegrain control necessary to keep the CPU and GPU components running at their best while under the constraints of a 65W TDP. Both the new Raven Ridge chips are going to be retiring two of the original Ryzen processors before the rest of the Ryzen 2000-series chips hit the market. The Ryzen 5 2400G will slot neatly into the space previously occupied by the Ryzen 5 1400, with the same price tag, superior CPU specs, and more graphical grunt than you’ve ever seen baked into a processor. The Ryzen 3 2200G effectively replace the Ryzen 3 1200, but this time comes in cheaper despite rocking a speedier quad-core CPU component sitting alongside its Vega graphics core. Both the original Ryzen chips were rated at a 65W TDP, but even with the extra GPU power the new APUs are fitting in that same power/thermal envelope. Both the Raven Ridge APUs sport quad-core CPUs, but the Ryzen 5 2400G comes with simultaneous multi-threading (SMT) enabled, that’s roughly analogous to the HyperThreading feature from Intel. The Ryzen 5 2400G is also clocked higher than the Ryzen 3 2200G, with a max boost clockspeed of 3.9GHz versus 3.7GHz. Considering the Ryzen 5 1400 it’s replacing topped out at 3.4GHz that’s a good chunk quicker. The Raven Ridge chips are also the first desktop AM4 parts to utilise the second generation of AMD’s Precision Boost technology. This links into the Extended Frequency Range (XFR) feature and allows Ryzen 2000-series chips – covering both Raven Ridge and Ryzen 2 – to hit the higher clockspeeds on a more regular, more useful basis. Originally Precision Boost would only kick in when just two cores were being used, but unfortunately a lot of applications – games in particular – will offload a small amount of work onto other cores. This offloading is just enough to keep those cores active in the eyes of Precision Boost 1.0 and means you get stuck at the basic clockspeed. 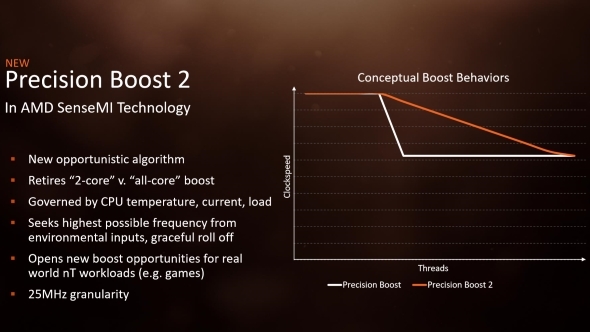 With Precision Boost 2.0, however, it’s based more on CPU temperature and load rather than just an arbitrary two-core cut-off. That makes it more opportunistic – in the words of AMD – and means that our games will likely be running the processor to its fullest clockspeed. Again it’s the telemetry monitoring of the Infinity Fabric interconnect which makes it possible to have such detailed control over the different cores. 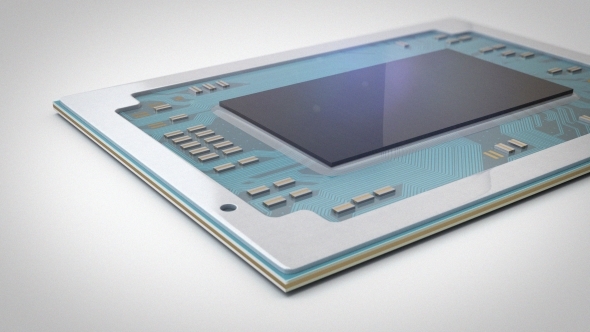 The second part of AMD’s Raven Ridge equation is the vital GPU component. Otherwise it’s just a boring CPU, right? Inside the APU’s package beats the heart of AMD’s Vega graphics architecture, but before you get too excited we’re not talking about a Vega GPU component on par with what the blue team have licensed to drop into the Intel Kaby Lake G processors. Where Intel have two Vega M GPU specs for their chips running at 24 and 20 compute units (CUs) respectively, AMD have been a little more gun-shy about the number they use for their Raven Ridge APUs. The Ryzen 5 comes with eleven CUs and the Ryzen 5 with just 8, that puts the Ryzen 5 2400G just ahead of the Ryzen 7 2700U Ryzen Mobile chip and the Ryzen 3 2200G on par with the Ryzen 5 2500U. In terms of overall Graphics Core Next (GCN) cores that gives the top chip 704, and the lower-level Raven Ridge just 512 GCN cores. To put that in context the RX Vega 64 has a total of 4,096 GCN cores, while the top Intel Kaby Lake G chip comes with 1,536 GCN cores. There was a SiSoft Sandra leak, which was subsequently removed from the database, which detailed a potential AMD APU with a massive 28 CUs. That would give it 1,792 GCN cores, which is almost on par with the number in the RX 570discrete card. The likelihood of AMD realistically being able to squeeze that large a GPU component inside the same AM4-compatible package is pretty low, but we can hope. A Ryzen 7 APU with such monstrous GPU power would be unprecedented and could be the PC gaming saviour we need in the face of the cryptocurrency inflation being inflicted on the graphics card market at the moment. Thanks to AMD’s decision to go for a ‘one socket to rule them all’ approach the Raven Ridge APUs simply drop into any existing AM4-based motherboard. Not that I’m likening Lisa Su to Sauron here, though I did hear many interns lost their lives when she realised Raja Koduri had taken one of the palantirs with him to Intel. There is one major caveat to all this however (the Raven Ridge socket compatibility, not the raging of the dark lord) you will need to ensure that whatever AM4 motherboard you choose to pair with your new APU has been updated with the latest BIOS update. Because of the changed memory compatibility, and the upgrades to the Precision Boost and XFR features, each AM4 motherboard will need to be updated. If you’re buying a new board you’ll need to keep an eye out for the ‘AMD Ryzen Desktop 2000 Ready’ sticker. In preparation for the new AMD Raven Ridge APUs the motherboard vendors have been rolling out BIOS updates for their AM4 stock. If you want to get either the Ryzen 5 2400G or Ryzen 3 2200G working in an existing AM4 motherboard then you’re going to need to update it first. We’ve checked out the main manufacturers and they’ve been posting updated BIOS files for Raven Ridge compatibility since the end of January. Even if you’re not looking to switch to an APU from your current Ryzen 1000-series CPU then it might still be worth updating your BIOS. The updates include the latest AGESA 1.1.0.1 update which widens up memory compatibility and could mean you’re able to squeeze a little more performance out of your existing RAM. The issue is that Raven Ridge is going to be the guinea pig for these new BIOS updates before the Ryzen 2 refresh gets dropped in April. Along with the new Ryzen 2000-series CPUs there will be a new set of 400-series chipsets, but these will have support right out of the box. The 400-series boards won’t really change the performance of the chip itself but do offer improved overclocking support and extra I/O compatibility and performance. The new Raven Ridge desktop APUs are the first Ryzen 2000-series chips being dropped into an AM4 motherboard, bringing with them the enhanced Precision Boost and XFR features, as well as higher frequencies out of the box. Unlike the upcoming Ryzen refresh CPUs the Ryzen 2000 APUs use the same 14nm design as the initial Ryzen range, so there are no specific IPC gains coming from a new production node. But the combination of higher clockspeeds and a more opportunistic dynamic frequency mode means the Raven Ridge chips are more than capable of outperforming the old Ryzens they’re replacing. The level of gaming performance you can get out of the Ryzen 5 2400G is mighty impressive. Our referential benchmarks don’t paint the prettiest picture here, with the integrated Vega GPU running at the highest 1080p game settings, but they’re not a million miles away from playable. Drop the resolution down to 720p, and be a little less ambitious about the in-game settings, and you will see absolutely playable frame rates from most games. We sawgenuine gaming performance from the likes of Hitman, Doom, Rise of the Tomb Raider, and in particular GTA V. The other three vary between 59fps and 44fps at medium settings, but with GTA V the Vega GPU at the heart of the 2400G is capable of hitting 57fps on very high settings across the board at that lower res. And by knocking GTA V down to ‘normal’ across the board it’s even able to hit 62fps on average at 1080p. And the 2400G especially is a great base chip for a new rig as it performs admirably when you pair it with a discrete GPU too. With the GTX 1070 in place the gaming performance is on par with most of the standard CPU competitive, giving a Raven Ridge rig a serious upgrade path. We didn’t get any joy from trying to run it with multi-GPU DX12 settings in place, however. The Vega 11 / RX Vega 56 pairing we tried sadly didn’t really bare fruit. You will get some extra gaming performance out of the integrated Vega cores with some judicious overclocking too. The CPU itself doesn’t overclock that far past its 3.9GHz max boost, and we only managed a stable 4.05GHz (if you ignore the short-lived 4.56GHz excitement before we realised our error…), but the GPU core will overclock a little more. We hit 1,500MHz, compared with the 1,250MHz base frequency, which gives a nice free gaming frame rate boost – especially when you’re running at 720p.